New Year's Day always occurs on the first of January every year in Colombia. It honors the comping of a new year on the Gregorian Calendar. 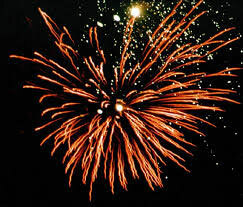 It is traditionally with the lighting of fireworks at exactly midnight of the night before. This national holiday allows public workers and usually private workers to get the day off and enjoy a new year. With the old Roman calendar it originally occurred March 15th, but was changed to January 1rst with a change to a more accurate calendar. The holiday was not accepted by the Roman Catholic Church until 1582.